I have just finished reading Proverbs in the King James Version. I especially liked running across verses that were the basis of admonitions that my late father repeated throughout my growing up years. He covered everything from not co-signing on loans (Proverbs 22: 26 KJV; NIV) to handling anger (Proverbs 16:32 KJV; NIV). His words made an impact on how I have approached life. 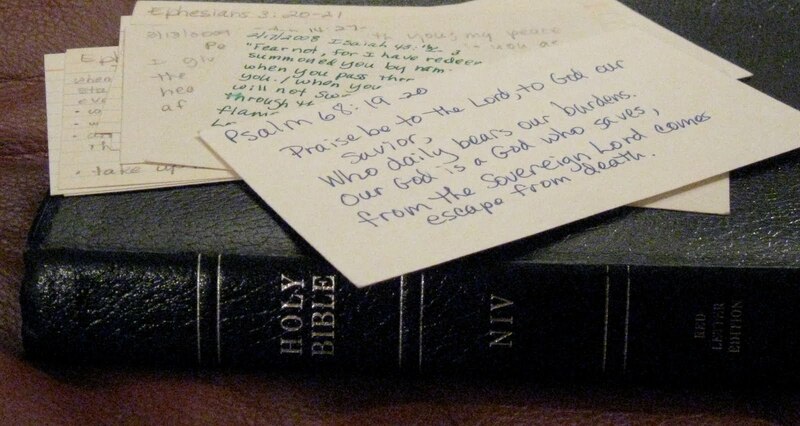 Those verses were like a visit with him. What a blessing! I have not posted much about what else I have been reading, primarily because I read so much escapist literature, and it is sort of embarrassing. Well, here goes. I have read 17 books, maybe a few more, in the last three weeks. Most of them were from the free paperback-swap at our local public library and the rest were “inspirational” romance on loan from my mother and her friends. 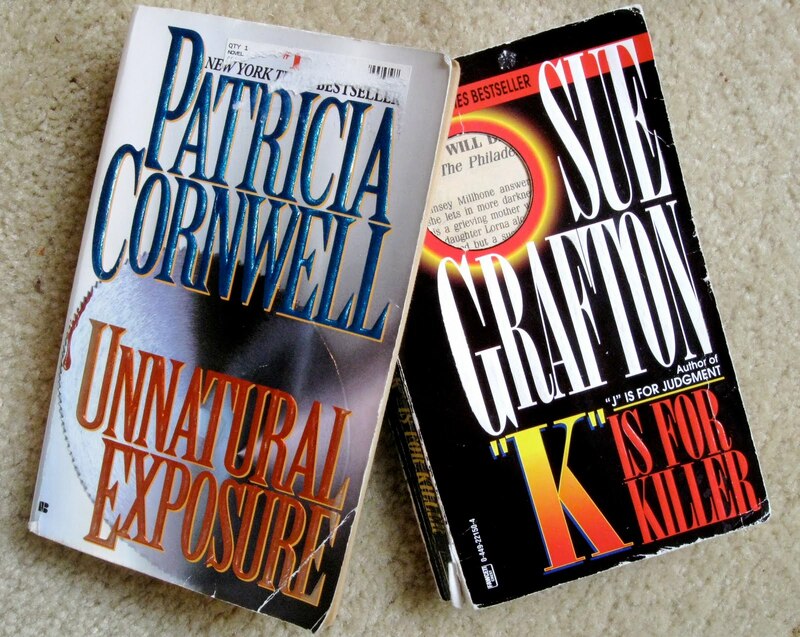 Among the library paperbacks were Patricia Cornwell’s Unnatural Exposure and K is for Killer by Sue Grafton. 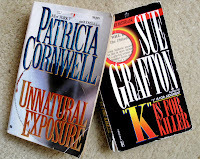 They were interesting; but neither seemed as well-crafted as others I have read by the same authors. It is evidently time for a change from lit-lite! @Kathy - Not speedy, just compulsive! Proverbs has so many good words to live by...Its almost a daily read for me.